We are a top-notch organization, engaged in providing Godrej Vending Machine. With honest intentions to improve the standing we have earned in this arena, we are offering a distinct collection of Godrej Tea Coffee Vending Machine. Banking on our enriched industry experience, we are able to supply Godrej Coffee Vending Machine. 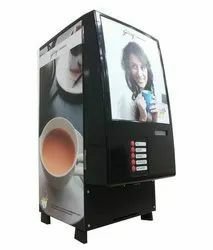 Godrej Tea Coffee Vending Machines. Our reputed entity is engaged in supplying Godrej Coffee Vending Machine. Excell 2 CVM 2 options hot drink like tea/coffee/soup etc. make with in second 5 cups per minutes. other model with 3 and 4 options are available. presenting the godrej 2 can vending machine. The latest addition to our vast range of offerings. 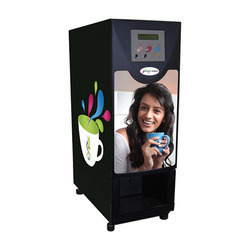 We are a renowned name, which is engaged in offering Godrej Coffee Vending Machine.